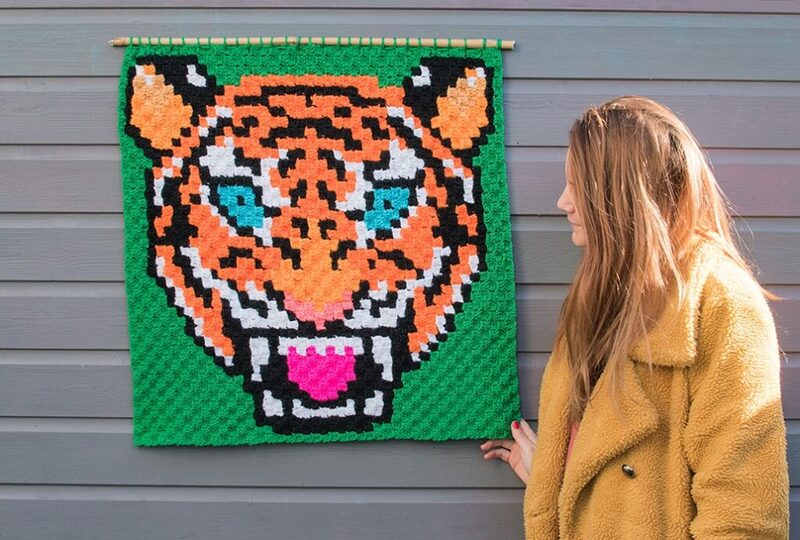 Jess is a crochet designer based in Dorset UK. 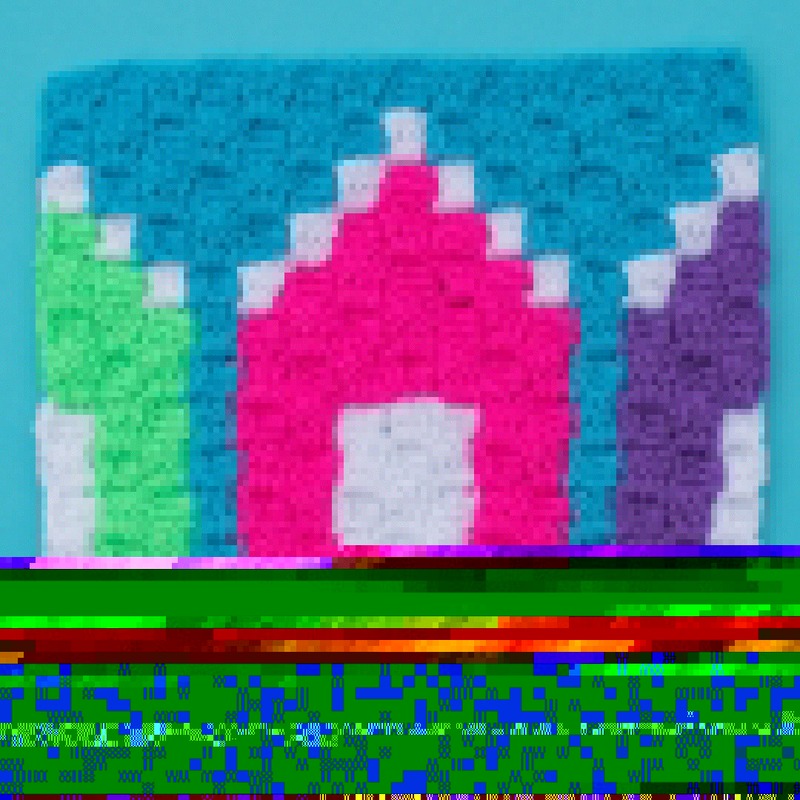 She mainly works with corner to corner crochet and loves using bright colours. It’s week 3 and I have another 4 graph charts for you taking us to 12 squares. 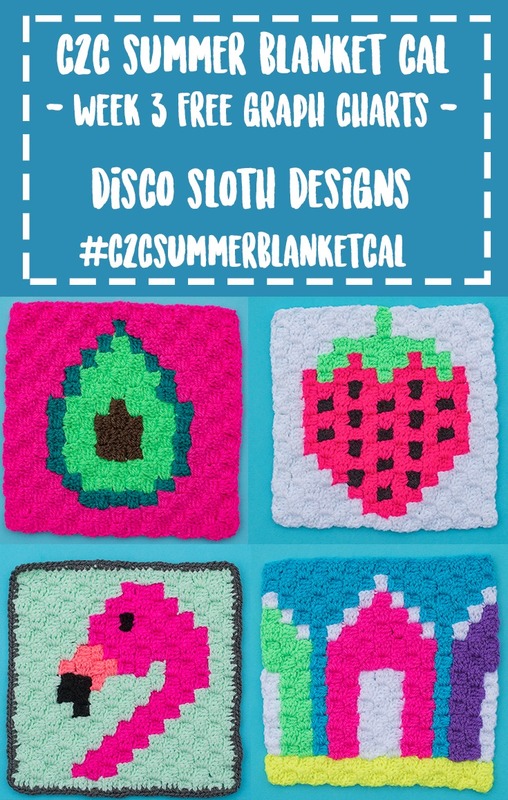 This week’s designs include an avocado, flamingo, beach huts and a strawberry. If you have just stumbled across this post and want to join in from the start then you can find the previous charts in these posts – WEEK 1 and WEEK 2. 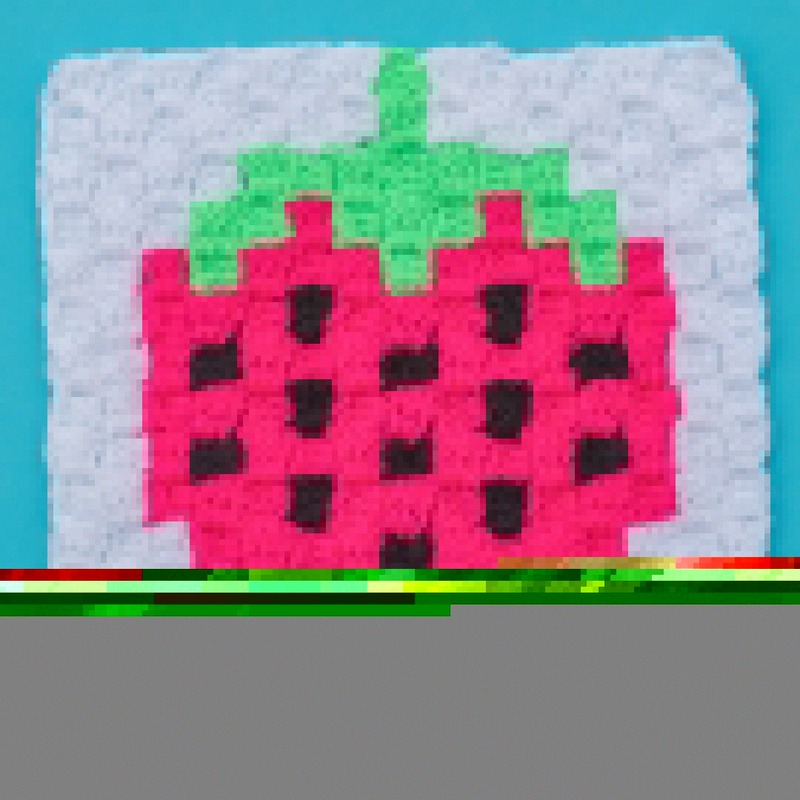 The technique I am using is corner to corner crochet, it’s really simple and there are lots of video tutorials on YouTube so you can learn how to do it. If you already know the basic crochet stitches then you will pick it up in no time. 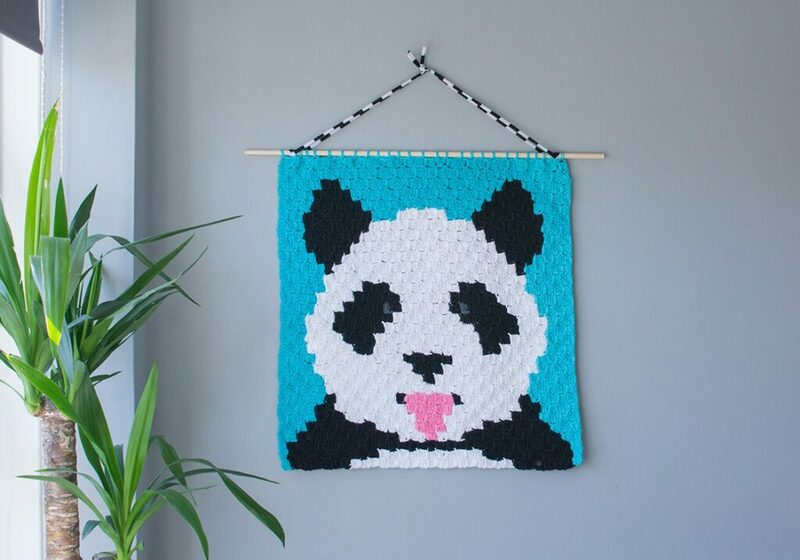 If you didn’t want to use corner to corner crochet then you could also use these charts for tapestry crochet, pixel crochet or puff stitch crochet. I am using acrylic DK yarn with a 3.5 mm hook but you can use any thickness of yarn you like (and the hook to match). Also you can use cotton or any other type of yarn you prefer. 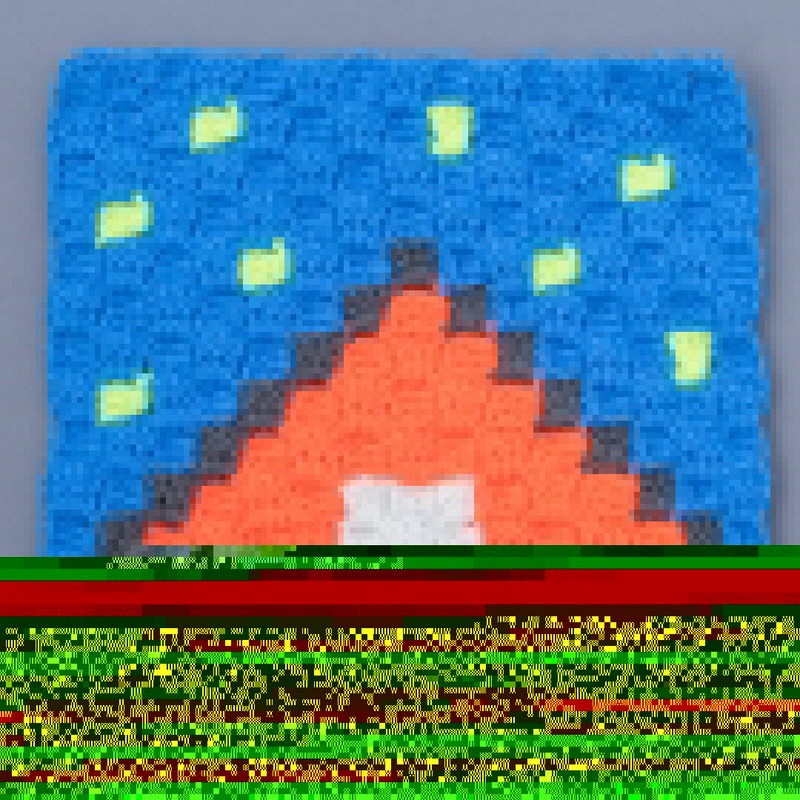 Obviously the thicker the yarn, the larger the square will be. 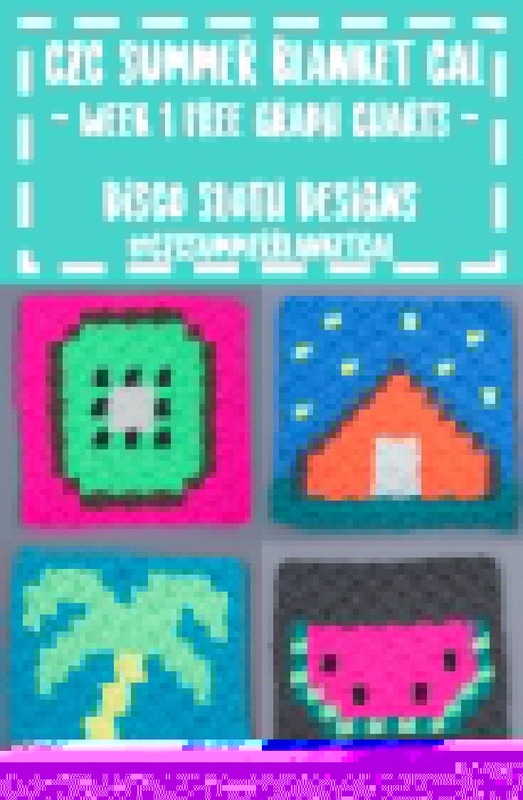 Like I always say, if you don’t want to make a blanket then any of these charts can be used for smaller projects like wall hangings or cushion covers. 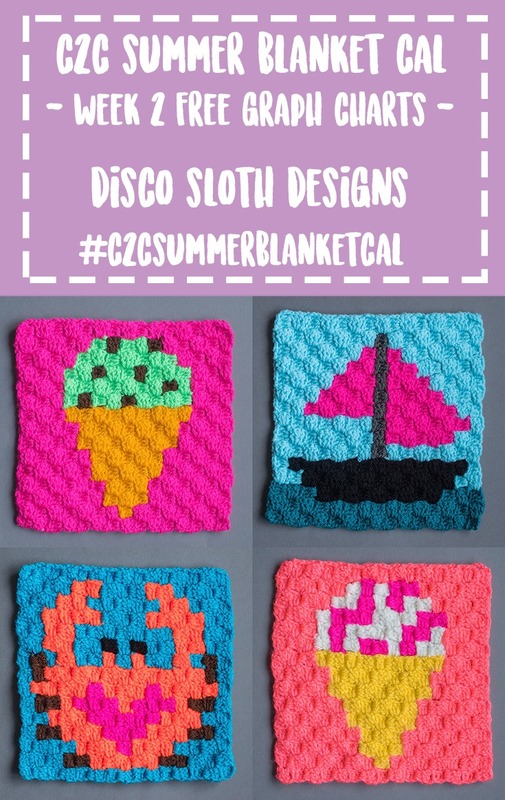 If you are joining in and sharing on Instagram then don’t forget to tag me @discoslothdesigns and use the hashtag #c2csummerblanketcal so I can see your work. 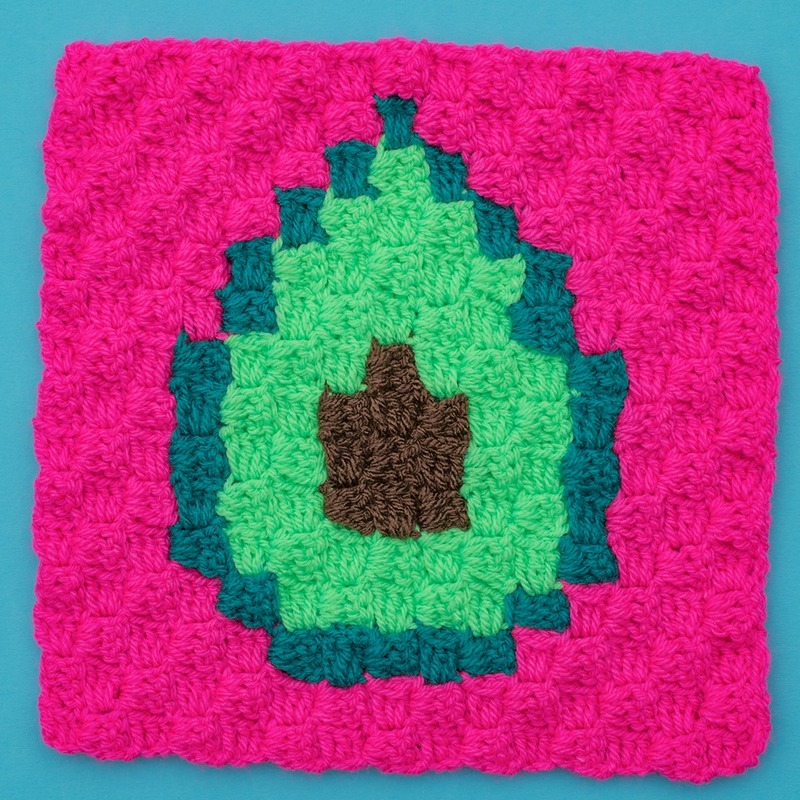 If you really don’t like one of the charts, for instance if you hate avocado and can’t bear to even look at one then I would suggest duplicating one of the previous designs using different colours so the square still looks a bit different. As always you can use any colours you like, these just give you an idea of what I’ve chosen. 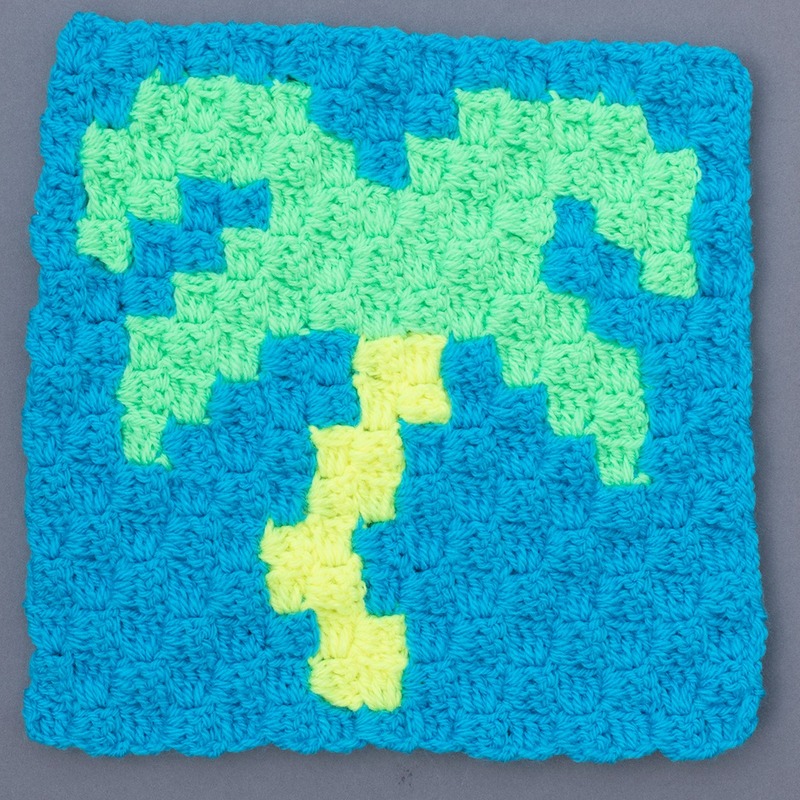 You will notice that I’ve added a border to the flamingo square, I did this by working a double crochet stitch (single crochet in US terms) evenly around the outside of the square. I worked three into each corner. 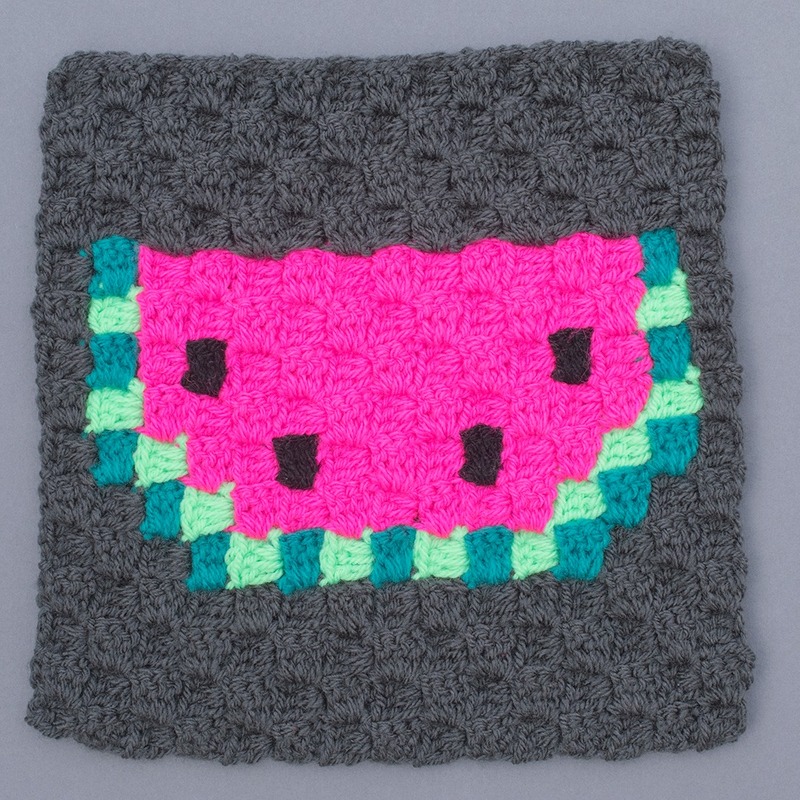 I am going to be doing this to all of my squares, my plan is to do the first time round in a contrasting colour then do the time around in a plain colour that will be worked around the edges of all the finished squares. This will make it much easier when it comes to joining them. I am going to be using grey. If you have some spare time and want to crack on with this part then feel free, if not you can wait until I do a blog post about it. This is the flamingo and here is the chart.. 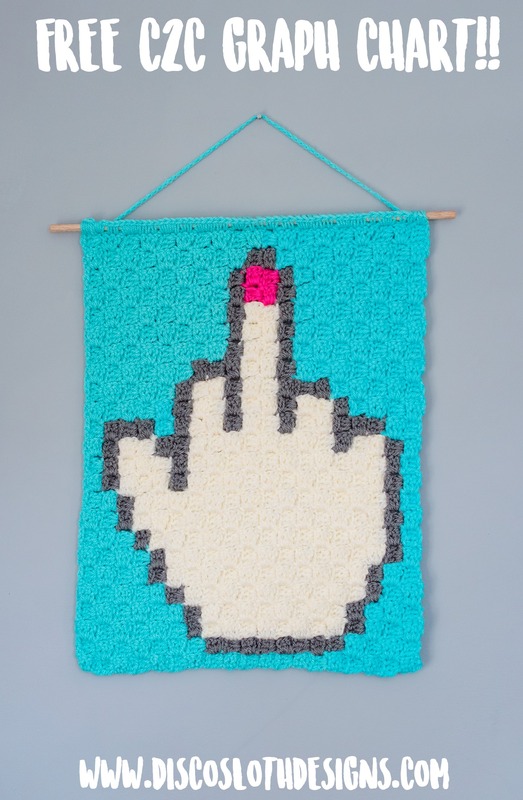 So it’s week 2 of my summer blanket CAL and I have another 4 charts for you to download. If you missed week 1 then you can find the charts for it HERE. As I mentioned last week I am using acrylic DK yarn with a 3.5 mm hook but you can use any thickness of yarn you like (and the hook to match). Also you can use cotton or any other type of yarn you prefer. Obviously the thicker the yarn, the larger the square will be. Again, if you don’t want to make a blanket then any of these charts can be used for smaller projects like wall hangings or cushion covers. 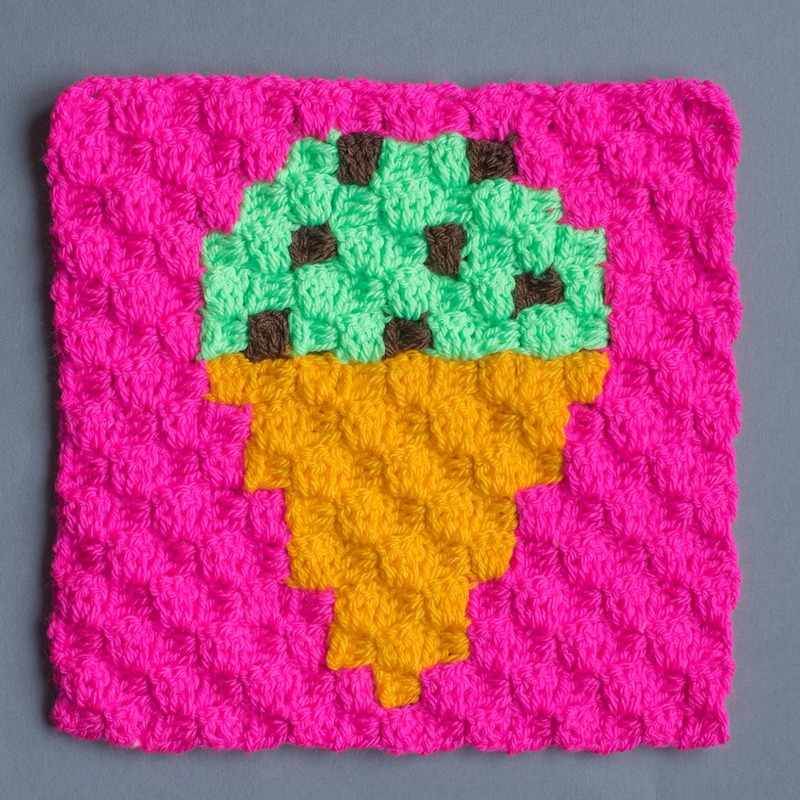 So the squares I have made this week are a crab, a boat, a raspberry ripple ice-cream and a mint choc chip ice-cream. I wasn’t planning to give you both the ice-creams this week but one I had planned to share isn’t quite right so I need to make a few changes to it. As I mentioned last week, you can change the background colours and shades to suit personal preference, I am going for super brights but they aren’t to everyone’s taste so you can of course use more neutral colours. This is the crab and here is the chart… with this one, if you want to make it a bit simpler then you can leave off the heart on the crab’s back. Just ignore it on the chart and keep going with the orange. This is the raspberry ripple ice-cream and here is the chart… with this one you could make it simpler by leaving out the raspberry ripple part and just making it vanilla ice-cream. If you wanted to do that then just ignore the pink and stick with cream. Graph charts and pdfs are copyright to www.discoslothdesigns.com. Please do not reprint or repost this content as your own, but please feel free to share this link with others. 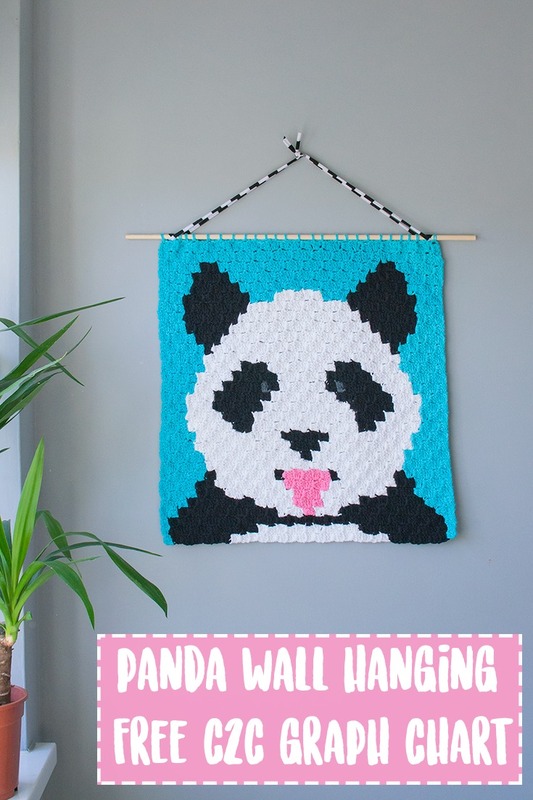 This giant panda wall hanging is one of my favourites, I just love how big it is and it really makes a statement on my wall. If you love it too then I have the graph chart here for you to download. If you do make one then I would love to see it so don’t forget to tag me on Instagram (@discoslothdesigns) and use the hashtag #discoslothdesigns. It’s made using the corner to corner crochet technique and I used cotton aran with a 4.5mm hook. You can of course use any type of yarn and any hook (that works with your chosen yarn obviously). 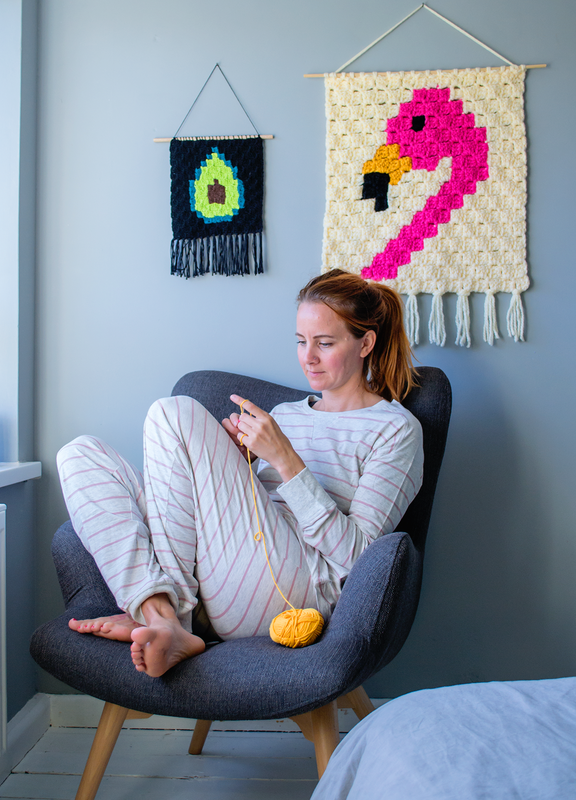 If you are new to corner to corner crochet and want something a bit simpler then my flamingo graph chart is great for beginners. I’m starting a C2C (corner to corner) summer blanket CAL (crochet along) and I’m super excited about it! It’s going to be made up of lots of 15 x 15 block squares with a range of summer designs on, I’m going to be using super bright colours but obviously you can adjust the colours to suit your style if you are joining in, it will be great to see it in more neutral colours or pastels. Each week I will share the free graph chart patterns with you so you can download them and get to work, you can do it at your own pace, if you feel like four a week is too many and that you won’t get it finished in time for this summer then you can always set a goal to have it done for summer 2020! The technique I am using is corner to corner crochet, if you aren’t familiar with this then there are some great tutorials on YouTube. You work diagonally and only use one stitch (treble or double depending on UK or US terminology) so it’s super simple once you learn how to do it. 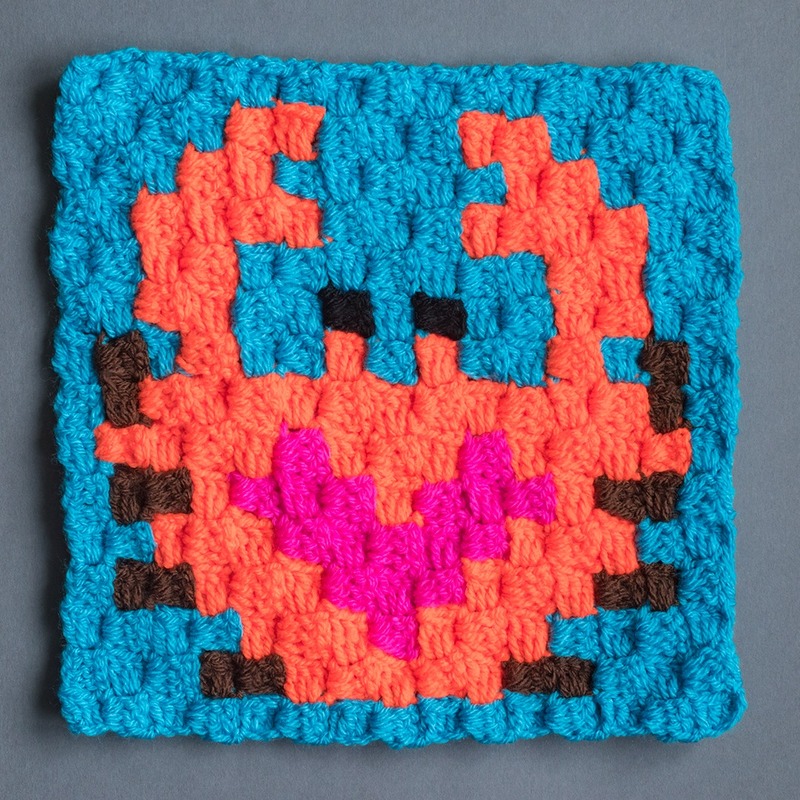 If you didn’t want to use corner to corner crochet then you could also use these charts for tapestry crochet, pixel crochet or puff stitch crochet. The charts I am sharing are only 15 x 15 so they are nice and simple, perfect for beginners. I am using acrylic DK yarn with a 3.5mm hook but you can obviously use chunkier yarn or cotton and the hook to suit your choice, whatever you like! Obviously if you don’t want to make a blanket then any of these designs can be turned into wall hangings or cushion covers.. let your imagination go wild! So the four charts for this week are a kiwi, tent, watermelon and palm tree. This is the watermelon and here is the chart.. So they are your charts for this week, if you have any questions then please do send me a message or email. YOU CAN FIND WEEK 2’S CHARTS HERE! I wasn’t sure how this ‘flash the bird’ design was going to go down as Matt told me he thought it was juvenile and that I should do a peace sign! He’s usually the first one to give an opinion on my designs so I do normally take what he says on board as a bit of constructive criticism, especially as he is generally really positive. I ignored him on this occasion though because I love to flip the bird sometimes (only at the right time of course!) and after posting a photo on Instagram it would seem that lots of you do too. I had quite a few requests for the pattern so here is a link to the downloadable PDF with the graph chart for it. As always, don’t forget to tag me on either @discoslothdesigns or #discoslothdesigns on Instagram so I can check out your creations! 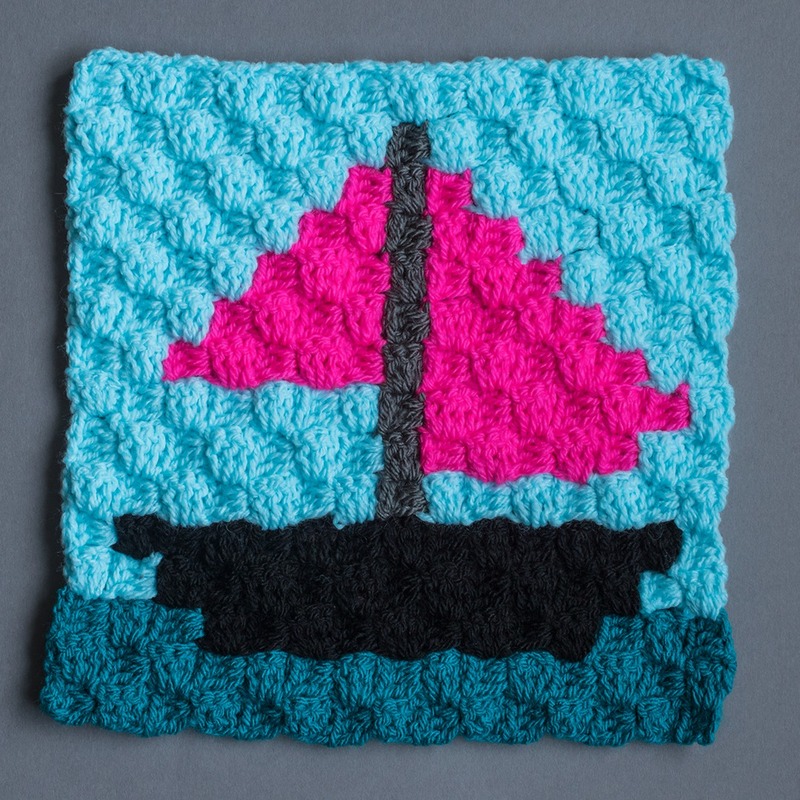 I used corner to corner crochet but you could also use a different style, if you are using C2C then using a ruler to mark off the lines as you go means you are less likely to make mistakes. I haven’t done any corner to corner tutorials yet but there are some great ones on YouTube, I learnt using this one by Bella Coco. If giving the finger isn’t your thing then you might like to check out my free flamingo graph chart. 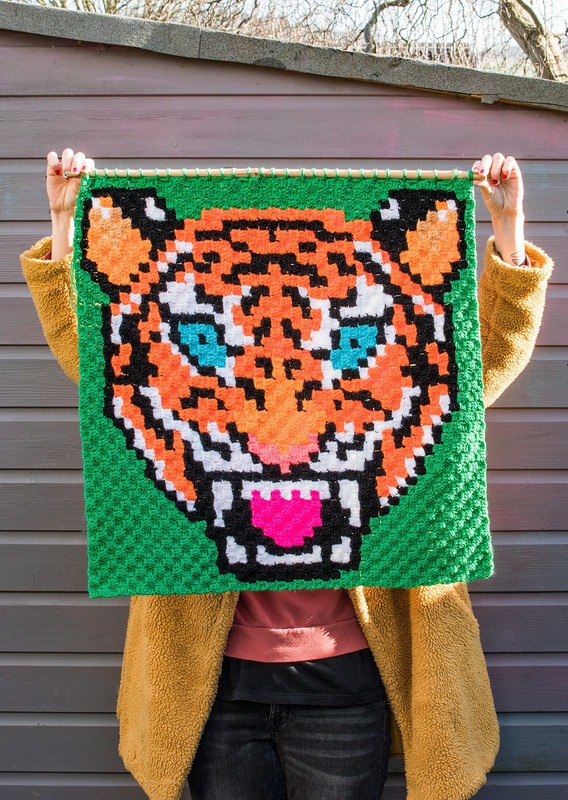 I FINISHED MY GIANT TIGER WALL HANGING! I’ve recently finished my biggest and most complicated wall hanging to date, my giant tiger wall hanging. It’s my own design and it took me absolutely hours to draw up but I’m so pleased with it. It’s huge and I had to use a bamboo cane to hang it on as I didn’t have any wooden dowels long enough. It took so long to crochet because of all the colour changes and there were SO many ends to weave in, in fact I didn’t actually weave them all in. Anyone who can’t bear things half finished would freak out but it doesn’t bother me so the ones in the middle that can’t be seen when it’s hanging are still there. Maybe one day I will weave them in but then again maybe I won’t! I have a few more complicated designs coming up soon, I’m currently working on one which is taking me ages but it’s even bigger than this. It’s absolutely HUGE!! I also have some new, more simple designs, to share with you, a bit more like my flamingo in terms of difficulty. You can find that one and a few others in my Etsy shop if you wanted to give it a go. You can find me on Instagram and Facebook too, I tend to share things on there before I get around to posting them on here so if you want to see my latest design then do pop over and give me a follow. 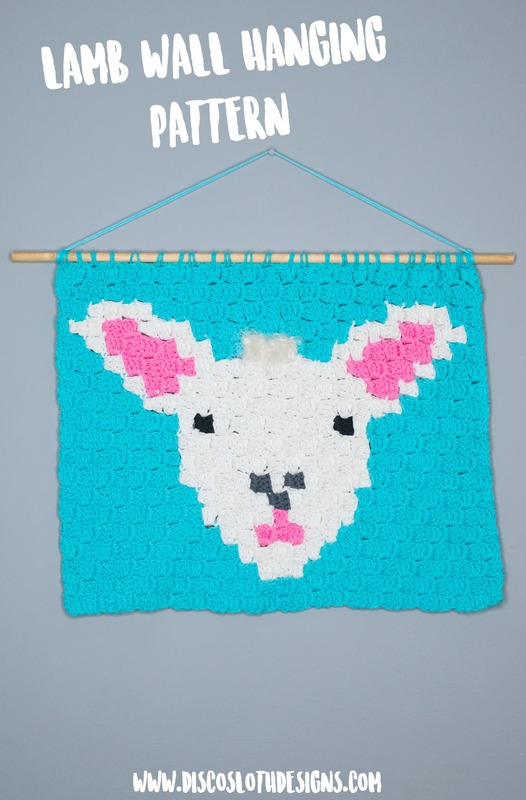 As it’s now spring I thought it would the perfect time to share the graph chart for this lamb wall hanging. It’s made using the corner to corner crochet method but you could also use the chart for a different method. If you would like to make one then here is the link to a PDF of the graph chart I made. I would love to see your creations so do tag me in them on Instagram (@discoslothdesigns) or use #discoslothdesigns. 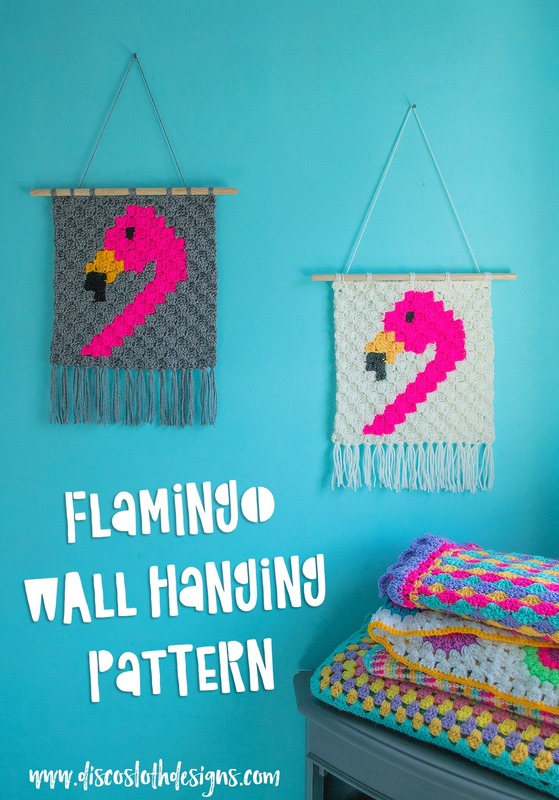 Like the flamingo wall hanging I have also added a pattern to my Etsy shop for anyone who would prefer to use a colour block chart or written instructions. 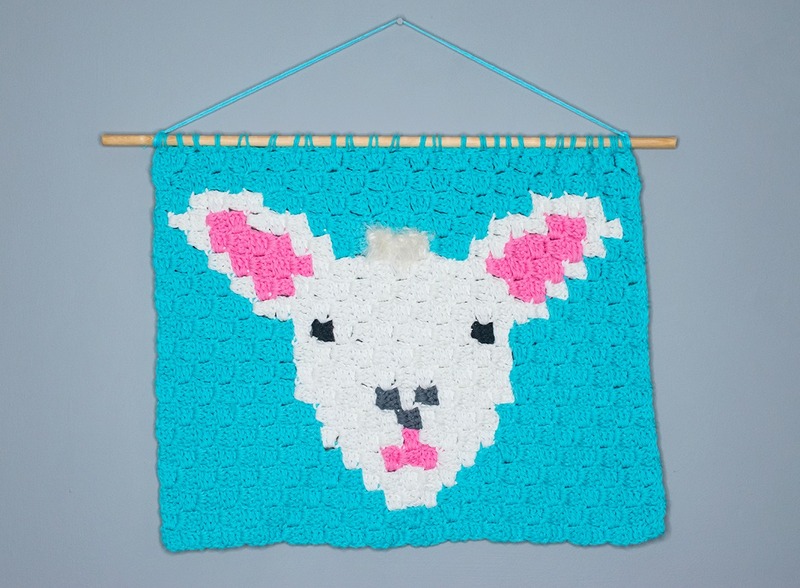 If you didn’t want to turn it into a wall hanging then you could make a few then alternate them with plain ones to make a blanket, or turn two into a cushion, anything you like really! 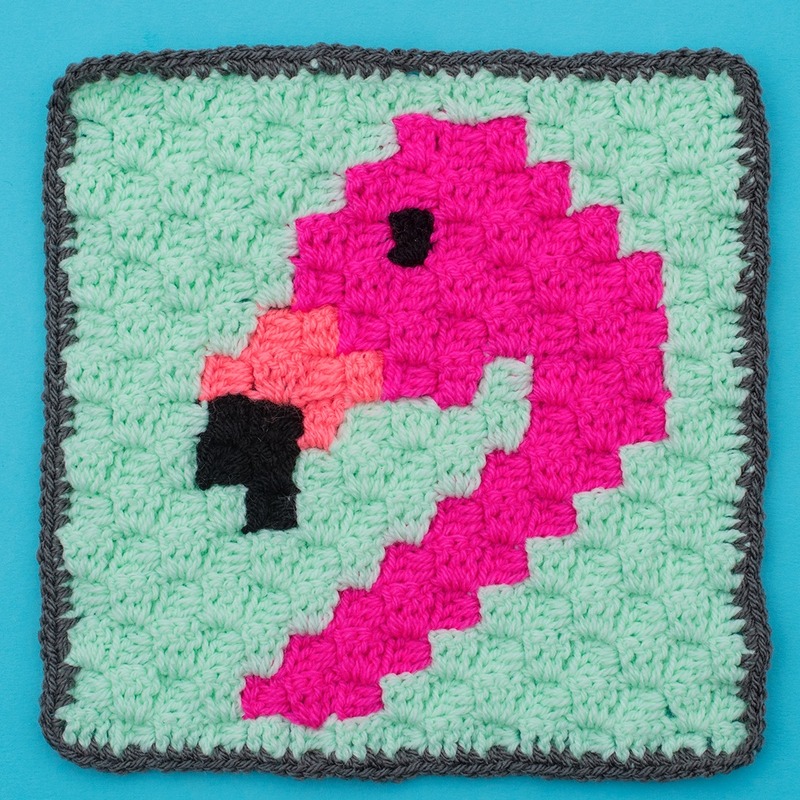 This flamingo wall hanging design was my first using corner to corner crochet. 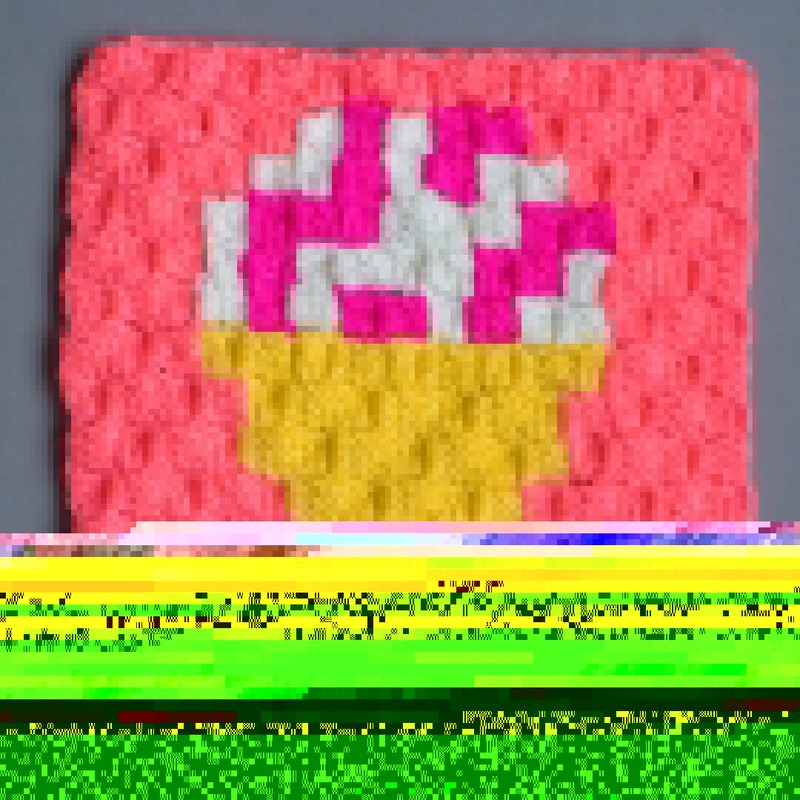 I initially made it with a cream background, then a grey one, followed by a giant one using super chunky yarn. The giant one is currently hanging up in my living room and I still love it as much now as I did a year ago. You can see how big it is in this photo, the standard size flamingo is about the same size as the avocado! I would love to see your creations so feel free to tag me in them on Instagram (@discoslothdesigns) or use the #discoslothdesigns. If you would prefer written instructions then there is also a more in depth pattern available to download in my Etsy Shop. It has the graph chart but also written instructions, step by step instructions and a colour block chart so you can choose which method you prefer. It is using corner to corner crochet which I don’t have a tutorial for yet but there are lots of tutorial on YouTube, that’s how I learnt. I would recommend this one by Bella Coco, it’s the one I used and all her tutorials are so easy to follow. I actually learnt to crochet using her granny square tutorial. If you don’t know how to crochet and would like to order a handmade flamingo then please contact me and I will give you a quote depending on size etc. 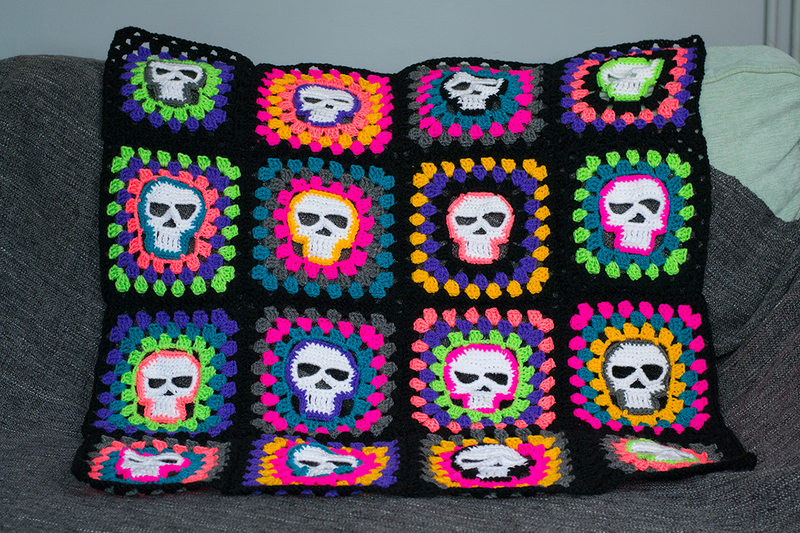 I am absolutely obsessed with anything that has a skull on it, and with crochet, so when I stumbled across an awesome skull granny square pattern on Pinterest I had to give it a go. 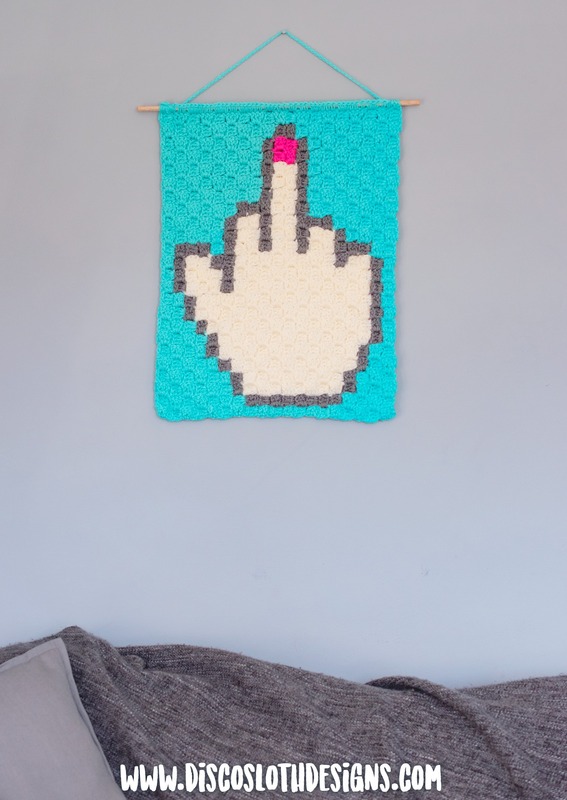 The pattern is by Crochet Nirvana and it’s amazing! So easy to follow and perfect for people like me who get bored doing the same thing over and over again as you can work it in stages. I make a few skulls then turn a few into squares then weave in some ends then join some squares together, obviously you could just make one at a time from start to finish but I can’t work that way! I started by making this a baby blanket size, this is 4 x 4 squares but actually I’ve decided to just go for it and make my biggest blanket to date so I’m going to do another three sets of 4 x 4 squares then join them together. I love the build up to Halloween and Day of the Dead, it’s my most creative time. I think because the weather changes and I’m indoors more plus as I mentioned earlier I love skulls and spooky things so I find myself feeling super inspired. 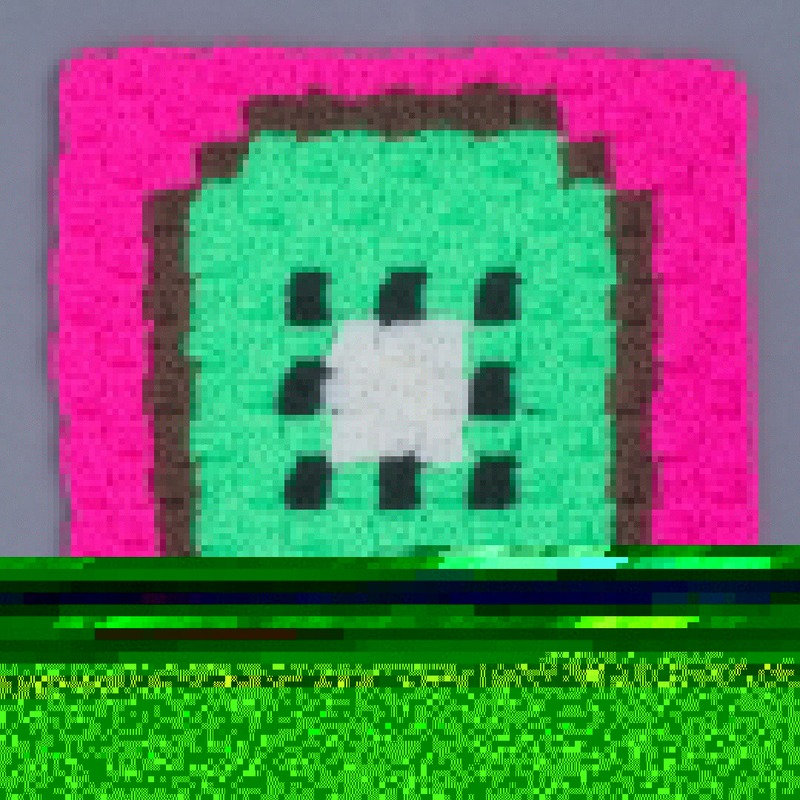 I’ve made the skull using white yarn then used different colours to go around the outside and the first 3 rounds of the square. Then I went around each one using black to make it easier to join them all together. I love the look of the bright colours against the black and white. I’m using acrylic so the colours are really vibrant. 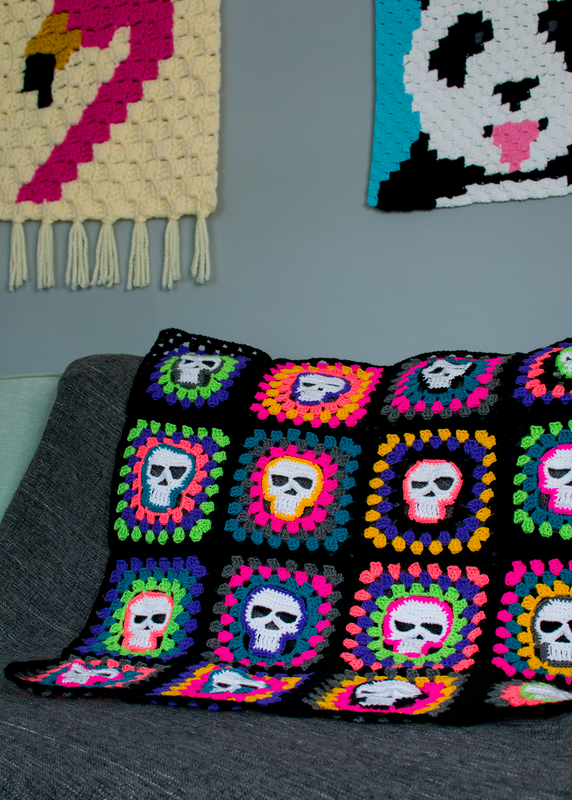 If you would like to keep up to date with the progress of this skull granny square blanket then you can find me on Instagram here: @DiscoSlothDesigns – you can also find all the other things I’m working on including my C2C crochet wall hangings, punch needle designs and pattern updates. © 2018 Disco Sloth Designs. All Rights Reserved.